Achieving a milestone in any field that we wish for the first time brings an emotional roller coaster in one’s life, we start visualizing the past and what sacrifices we made ,to accomplish our goal.So imagine how life changes once you know ,you are expecting for the very first time.The life around you suddenly changes for good. You yourself are overwhelmed with emotions. People around you start taking extra care of you .You are pampered like a small baby .You know why I’m telling you all this, because I have gone through this phase .I loved the feeling of being pregnant, the first heartbeat, the first kick ,the first movement and finally the first time I hold my baby .Words cannot do justice what I felt or how my life changed from a young lady to first time mommy .The journey is priceless. The reason why I’m sharing my first time experience because I came across this super cute video which made me totally emotional. 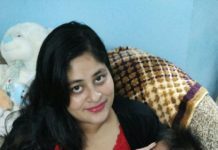 As a mother for me anything related to my baby was and is my first priority .I always made it a point to check the product on me first and when the product was quality checked by me ,I used it on my baby.I know all moms across the globe follow the same measures. For me as a first time mom the foremost essential product for any mom would be wet wipes ,reason being they poop and puke every now and then ,and for a mom it becomes the biggest challenge to keep the skin clean ,soft and nourished .For my baby I wanted the best product(s)that were tested and save on my baby’s skin from the first day. 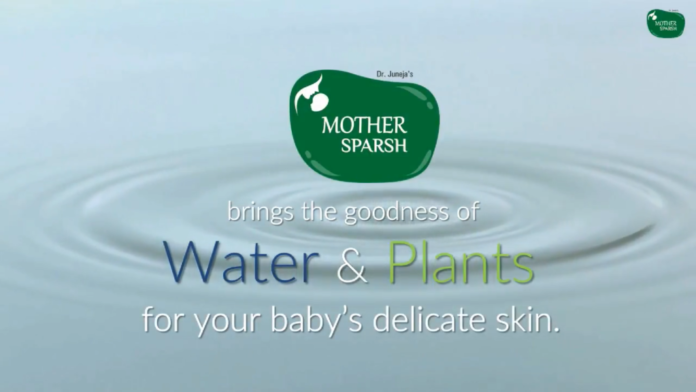 So after doing my research and several quality check I was finally convinced by one product –Mother sparsh. Mother sparsh is 98% Water Wipes will help you to take care of your little ones skin. These are 100% plant based fabric, clinically proven, biodegradable, extra strong & velvety-soft for precious skin of your baby. These super soft wipes cleans the baby’s bottoms and leave the delicate skin smooth and silky. 100% Plant Fabric & Biodegradable-They are made out of 100% plant fabric ,which is eco friendly and clinically proven . 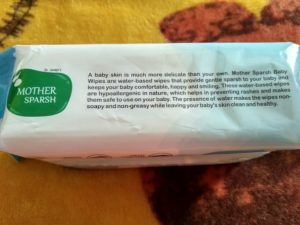 Purest Wipe– The best feature of Mother sparsh wipe is that it contains 98% water which makes them as pure and soft as cotton(USP).The wipes are free from parable ,alcohol, polyester or rashes. Clinically proven –The wipes are clinically proven mild on babies’ skin from the very first day. IBB awards promising baby care brand. 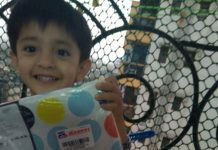 I have been using India’s first water wipe since day one for my boy, we both love the product .The wipes are very soft and mildly scented. Thankfully my kid never suffered from any kind of rash. Wipe off dirt from hands. The wipes come in a light blue plastic packet with a plastic cover to keep the wipes fresh .The packing is quite attractive and is easy to carry. One packet is priced at Rs- for 80 pieces. The wipes are easily available online or offline. The water wipes has no soapy texture like other branded wipes. Mother sparsh wipes are 100% safe to use since day one. The product is tested by my real mom(s) across the globe. This post is sponsored by Mother Sparsh but the opinion is 100% mine. Previous articleLast minute mehndi designs for Karwa Chauth & why it is celebrated ? I am so glad when you said its midly sented only 😂 I have strong fragnence. I loved the detailed review of the wipes. I will definitely suggest it to my near and dear ones who have babies. 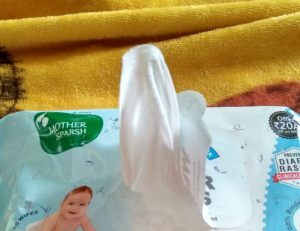 Thank you for the detailed review of the Mother Sparsh wipes. I will definitely suggest this one to my cousin who has become a new mommy to take care of her baby. I have used these water vibes for removing my makeup. These are alcohol free and paraben free and I loved them. Thanks for reviving early mommy good memories….I love Mothersapsrsh wipes too!